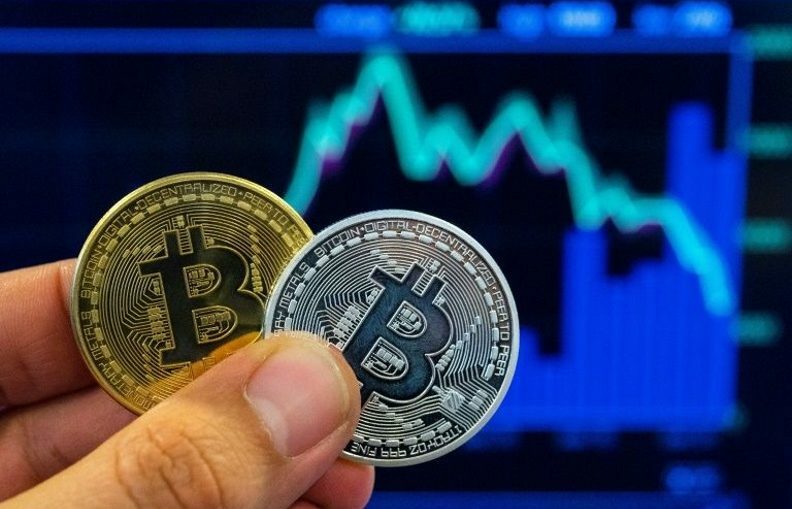 While bitcoin (BTC) is still trading well above the $6,000 level so far it has not broken out in a definite upward or downward swing although it did lose some ground during today. A recent CoinDesk article claims that BTC is stuck in a narrowing price range and the direction of the next breakout is not yet clear. Bitcoin was expected to rise toward the $7,000 level over the weekend as it had overcome a key technical hurdle on Friday. But it was not to be as when it hit around $6,600 supply began to outrun demand. However, the bears have not been able to drive the price down below the psychological support level of $6,300. BTC is now trading within a $300 dollar trading range. At press time, 12:46 UTC bitcoin was trading on Bitfinex at $6,400 up 0.8 percent on a 24-hour basis. Bitcoin has been creating a narrowing price range that is popularly known as a pennant pattern over the last five days. At the time of the analysis, the top end is $6,595 and the lower support end is $6,320. A bullish breakout would be signaled if the 4-hour candle closes about $6,595. This would also give more credence to the bullish strength index (RSI) divergence and would be a breach of a key falling trendline that happened earlier this month. This open a path for a stronger rally towards the $7,000 psychological hurdle. If the 4-hour candle closes below $6,320 then the price of BTC could well go below $6,000, that is the February low. On the daily chart, a bullish crossover of the 5-day and 10-day moving averages (MA) shows that the path of least resistance would be to the upside. However, the overall bias of the daily chart still remains on the side of the bears as long as bitcoin is trading below the ascending trendline drawn from the June 29 low and the July 12 low. At press time both the rising trenline and the 100-day MA were at the level of $7,067. Based on the analysis CoinDesk predicts: “A bull pennant breakout will likely allow a rally to $7,000. The outlook as per the daily chart would turn bullish if prices find acceptance above $7,067 (rising trendline hurdle seen in the daily chart). After rising high early in the morning to $6,517 at 02:17 UTC bitcoin traded in a narrow range but gradually declined in price and late in the date dropped sharply to $6,245 at 23:18 when the day was almost over. It is now August 21 UTC, The price of bitcoin opened at $6,256 but has had a high of $6,339. At almost 2 and a half hours into the new day 2:29 UTC the price was $6,302 or more than forty dollars above the open. While there is no sign of a bullish breakthrough the trend right now seems up and there is no move down towards the $5,000 level. Perhaps we will see a day of consolidation with trading staying within a narrow range. On the other hand, perhaps there will be a breakout to the downside later in the day. The present price of bitcoin can be found here.